The Allinson Residence is located in Cape Charles, Virginia on the Eastern shore. A carport is anticipated to be added in the near future. The residence has concrete core walls with insulation providing the forms for the concrete on the inside and outside of the walls. 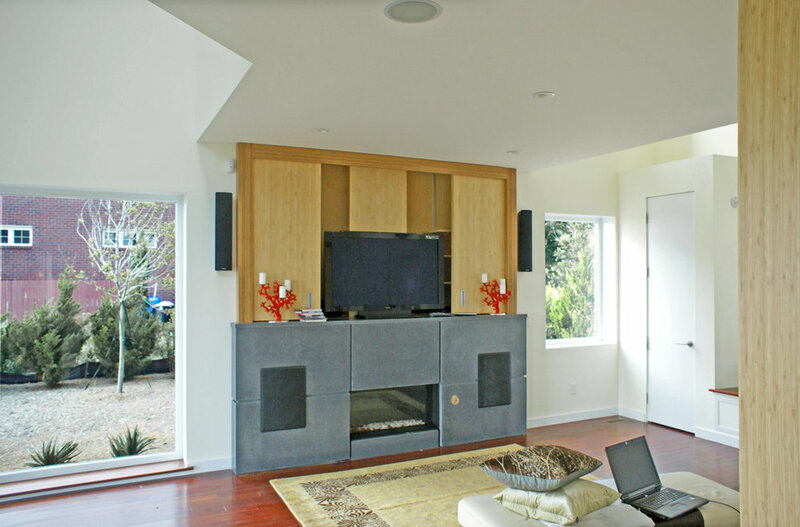 The home also features a geo-thermal system for heating and air conditioning. The home sits on a bluff and has expansive views of the South end of the Chesapeake Bay. 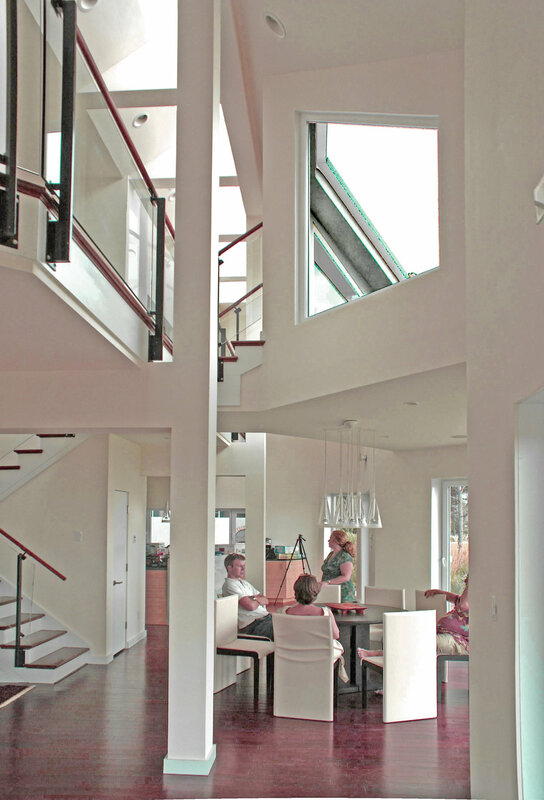 A series of skylights in a linear pattern augment the glass doors and windows in the home.